A full description of the Blood Bank service can be found in the Hospital Transfusion Policy. This includes blood quality and safety regulations, local protocols, department-specific protocols and clinical guidelines. Please ensure that all samples are correctly labelled with full details including: surname; forename; date-of-birth and hospital number / NHS Number. The sample should be signed by the person taking the sample, as should the form. It is a failure of this step, which can lead to a patient receiving incompatible blood with potentially fatal complications. Addressograph labels MUST not be used on blood bank samples. If any of the above are missing, you will be contacted and informed of the discrepancy. In these cases, a new sample will need to be taken from the patient. If a crossmatch is requested via a GP, the sample and form must also meet the above criteria. If the samples are labelled using the isoft clinical manager (iCM) computer programme, this needs to be done at the patients’ bedside and the labels and corresponding request form, BOTH need to be signed by the person taking the blood. The blood bank need to have BOTH the sample and corresponding request form – if a sample ONLY, is received this will not be tested. In the case of a transfusion crossmatch request, always provide a true assessment of the degree of urgency involved. Adults: Group and save samples are kept for 5 days and can be used for crossmatching, provided the patient has not been transfused in the previous 3-14 days. Babies up to 4 months: A group and save sample is required from baby (small volume EDTA blood). For baby’s first transfusion, a current sample must also be sent from the mother to assess antibody status. Small volume transfusions can be given repeatedly over the first 4 months of life without further serological testing, provided that there are no atypical maternal red cell antibodies in the maternal / infant serum, and the infant’s Direct Coombes Test (DCT) is negative when first tested. Out of hours requests for these (except platelets and anti-D) are to be made to the on-call Blood Bank Assistant Technical Officer (ATO) who can be contacted through Switchboard. For issue of blood products a signed request form must be sent to the Blood Bank. Anti-D will be issued on request for routine prophylaxis at 28 weeks after confirmation of Rh status at booking. If a sensitising event occurs after 20 weeks a fresh sample will be required to assess the amount of anti-D required. If two group and save samples, both having corresponding blood groups, and negative antibody screens for that patient, then blood can be issued without testing of donor cells with recipient plasma. The current sample can be up to 3 months old providing no previous transfusions have taken place. If previously transfused within the last 15-28 days a fresh sample is required within 72 hours. If previously transfused within the last 29 days to 3 months a fresh sample is required within a week of transfusion. As a result of this, blood will no longer be reserved for patients pre-op. If blood is required urgently it can be supplied within a few minutes as long as all of the tests have been completed. To find out whether a patient is suitable for electronic issue of blood refer to the Hospital Transfusion Policy, which has step-by-step instructions on how to do this. Access to both Path and iCM computer systems will be required for this. This protocol can be found using the link below to the Trust Documents location on HealthNet (see below). However, there is a need to emphasise the importance of liaising with the on-call haematology consultant for advice on the use of different blood products. The samples must be hand delivered to the laboratory and all calls put through the hotline extension number 52828 during normal working hours and bleep 0871 out-of-hours. The blood bank staff will be responsible for ensuring that coagulation and haematology are aware of any samples arriving and that they need to be dealt with as soon as possible. Frequent full blood count and clotting samples need to be sent to monitor the situation (approx. 60 mins). The Blood Bank is implementing an electronic blood tracking system called ‘BloodHound’. A computerised approach to collecting and administering blood is needed to further prevent incidents in the transfusion pathway. Compliance with Haemovigilance measures is a high priority for the Trust, as well as safe and appropriate use of blood and blood products. The NPSA’s Safer Practice Notice 14, ‘Right patient right blood, has made transfusion competency a major focus of attention. Staff in this Trust are required to undertake their transfusion competency assessments and must have them before access to the blood tracking system is allowed. The Trust requires that all transfusions are recorded using the Electronic Blood Tracking System. All Trusts are required by law to provide Haemovigilance data (Traceability) which is closely monitored by the Medicines and Healthcare Regulatory Authority (MHRA). How Electronic Blood Tracking works. The following is a brief overview of how the system works. The Blood Fridge Kiosk: The blood fridge is controlled via a touch screen computer. The staff member uses a bar code, found on their new ID badge, that identifies them to the system and a personal PIN number for security. The staff member then has to let the system know what patients blood is required again through a bar coded hospital number that also gets scanned in. The fridge will then open if all conditions are met correctly. The Bedside Module: Once you have extracted the correct unit from the blood fridge and taken it back to your ward. Using a handheld device the tracking system once again needs to know where the unit of blood has been taken and who is carrying out the transfusion, which bag of blood and which patient. Once all the correct information has been gathered by the system the transfusion can be started. Once the transfusion has ended and, as part of Haemovigilance and traceability, the staff member responsible for monitoring the transfusion must ‘End the Transfusion’ on the handheld device. This will time stamp the duration over which the unit of blood was transfused and therefore demonstrates compliance with traceability. The Web Application: This part of the system gives the user the opportunity to track blood units by patient and by location. Once the blood bank issues units of blood into the blood fridge that information can be seen and the ward will know where to go to be able to collect the units. The MHRA will closely monitor Haemovigilance, and during this time of transition to the electronic blood system, they will be particularly concerned that traceability is maintained. The normal working day for blood bank is 9am until 17.30pm Monday to Friday. An emergency out of hours service operates for the rest of the time 24 hours a day. The Biomedical scientist may be contacted out of hours on bleep 0871. 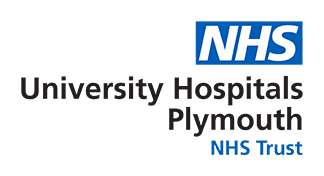 Work may be referred to NHS-BT Filton, 500 North Bristol Park, Filton, Bristol, BS10 5ND for tests such as Neonatal alloimmune thrombocytopenia(NAIT0, Platelet refractoriness, and for further antibody and crossmatching investigations.